Another week of double trouble with Will & Erlend. The ACP podcast is presented by Will Ashurst and Erlend Dal Sakshaug. Not a great news week, but we try to compensate by reviewing two movies this week. Starting off with a Disney Classic™ from 1946 that is maybe not so classic, “Song of the south”, and finishing off with a newcomer from relative newcomers in the business, Dreamworks Animation Studios’ “Megamind” from 2010. 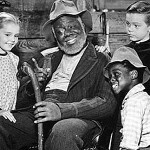 The first one is Song of the south (1946). Directed by Harve Foster & Wilfred Jackson. Our verdict: * * * * 4 stars.